So any new book he writes is always tops on my list to read. The title of this one caught my attention — “Resisting Happiness” — as I feel like I know a lot of people who are definitely resisting happiness. While I felt the book got a bit off track of what it promised on the cover — “a true story about why we sabotage ourselves, feel overwhelmed, set aside our dreams, and lack the courage to simply be ourselves … and how to start choosing happiness again” — it still delivered inspiring content about how to change our lives to follow God and find peace. For me this book was largely about finding God’s purpose for you in life as a way to find joy and peace. Kelly gives specific examples of his journey and how he came to start Dynamic Catholic after years of speaking on the road in his 20’s. He gives fantastic examples of those who have figured out their mission and how they did so. I loved the story of an older woman who wanted to help Dynamic Catholic and spread the word of God, but who was not physically able. Instead, she bought as many copies of “Rediscover Catholicism” as she could and sent them to everyone she knew, even mailing them to important figures around the world — all with a personal letter. What a great mission! Or the story of a successful business man who longed to be an evangelist like Kelly but never could seem to find the time to get started. Eventually after years of prayer, he discerned God had given him the gift of making money through his businesses, not of speaking, and so he decided he was to make as much money as he could and give it to Dynamic Catholic for their good work. I love it! If you don’t have a talent that others do, you don’t need it for the mission for which God has sent you. Let go what gifts you were not given. The key to happiness: Find a way to lay down your life for others in a way that engages your talents and abilities. Place your talents and enthusiasm at the service of life. Look at your talents and your availability. What are you passionate about? What are you really good at? You are likely to find your purpose at the intersection of those two questions. Don’t focus on what you were called to in the past but what you are being called to RIGHT NOW! Your calling changes over time. The most important things are almost never urgent; that’s why you must schedule them. Pray at the beginning of each hour of your work, offering that hour’s work for a special intention. If you want to be an interesting person, read books and develop a love of learning. Learn how to say no. If it’s not a definite yes; it’s a definite no. Take a pilgrim’s attitude instead of that of a tourist; accept that things will go wrong on the journey and that is simply a part of your walk. Persistence is the antidote to resistance; take some action, even the smallest of actions, to begin the process to overcoming anything. 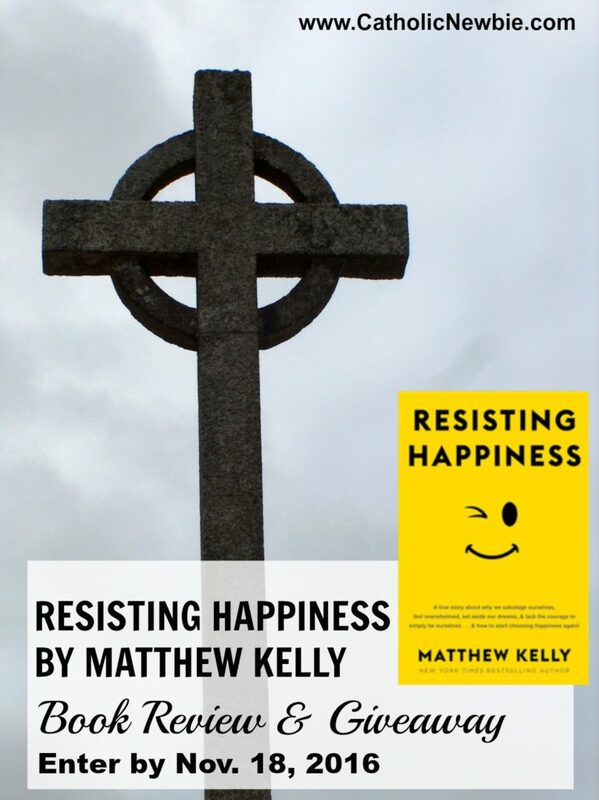 If you enjoy Matthew Kelly’s writing, you’ll enjoy “Resisting Happiness.” As always, it is full of practical ways to bring yourself closer to God and written in conversational language accessible to anyone. What I loved about “Rediscover Catholicism” was how he was able to take the ancient practices of the Church and make them relatable to me today in the 21st Century. He helped me to understand WHY the Church teaches what it teaches and how those teachings helped me grow into the saint God designed me to be :). And in that same relatable way, he offers more words of wisdom in this latest book. 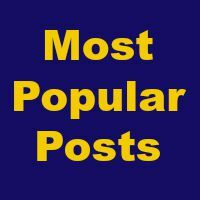 Sign up for my email below, which simply means you will get my blog posts via email (currently, no more than 2 per week) by Nov. 18, 2016. I will draw 10 random winners on Nov. 19, 2016 from those who sign up for my blog email by Nov. 18, 2017. I will then double check that you have “liked” the Facebook page before I declare you a winner. Only one winner per email address. Copies will be shipped to you directly from Dynamic Catholic. 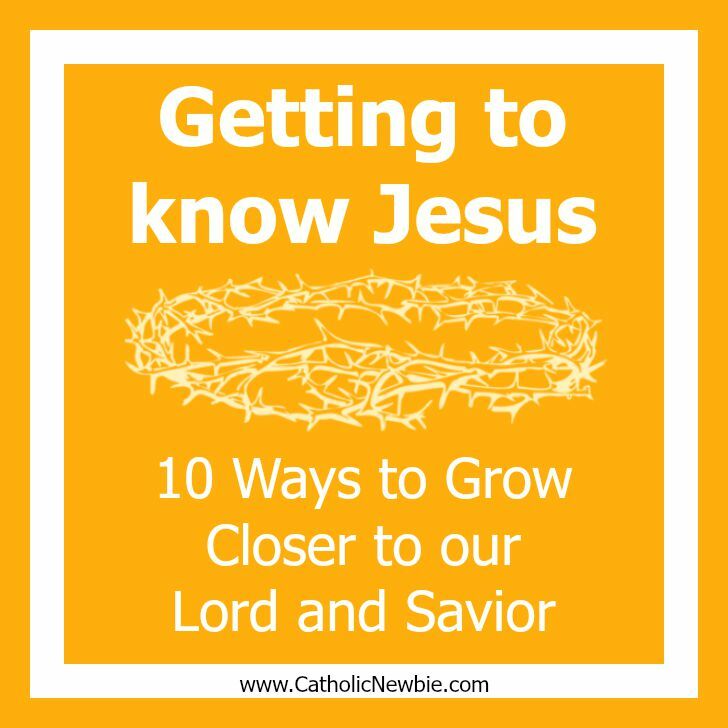 Winners announced on the Catholic Newbie blog on Nov. 19, 2016. Parishes, or others, who buy “Resisting Happiness” in bulk can currently purchase them for just $1 per copy. A great gift to give your parish — and anyone you know — this Christmas! 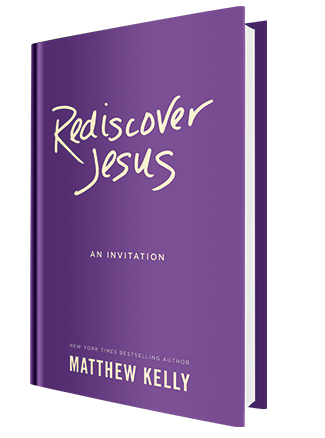 Matthew Kelly’s book Rediscover Catholicism was key in my conversion. It was the first thing I’d come across that helped me make sense of Catholicism and understand its place in our modern day society. His latest book, “Rediscover Jesus” is a gem, as well, and amazingly, his company, Dynamic Catholic, is offering it for a limited time at the cost of just $1 (plus $.50 cents shipping) to parishes who order at least 500. Why offer it to parishes? Kelly aims to re-energize Catholics who have fallen away from the church or who may be coming to mass in body only, with their soul still unconverted. He encourages parishes to give away these books at holidays, such as Christmas and Easter, when many who still identify as Catholics show up for a once-a-year mass. 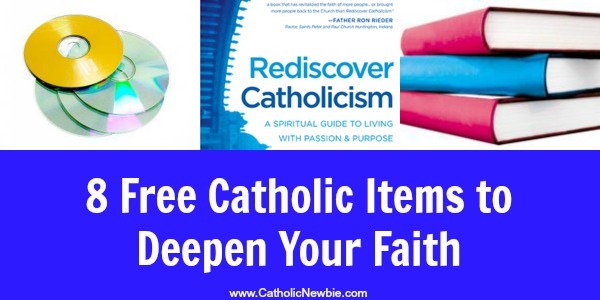 If your parish is interested in purchasing the books to hand out to parishioners, visit Dynamiccatholic.com/rediscoverjesus or call 859-980-7900. They are available while supplies last. You can find Kelly’s other books, along with many other great Catholic reads from theology to modern writings, on his website at DynamicCatholic.com. Most are FREE with just the cost of shipping. I highly recommend putting in an order right now for “Rediscover Catholicism” if you haven’t read that one yet. May it inspire you as much as it did me!